9 July 2013. The Federal Court has found Baiada Poultry Pty Ltd and Bartter Enterprises Pty Ltd, the processers and suppliers of Steggles branded chicken products, engaged in false, misleading and deceptive conduct in describing on product packaging and in advertising that its meat chickens were ‘free to roam’ in large barns when this was not the case. 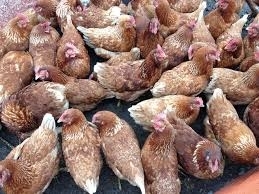 The Australian Chicken Meat Federation Inc (ACMF), the peak industry body for Australia’s chicken meat industry, was also found to have engaged in false, misleading and deceptive conduct, by claiming on its website that chickens produced in Australia were ‘free to roam’ or able to ‘roam freely’ in large barns. The Australian Competition and Consumer Commission instituted proceedings against the respondents in September 2011. “Consumers must be able to make informed purchasing decisions. Promotional activities that convey an impression of farming practices are powerful representations that influence food choices,” ACCC Commissioner Sarah Court said. The Court found that the ordinary and natural meaning of the phrase ‘free to roam’ is “the largely uninhibited ability of the chickens to move around at will in an aimless manner.” In contrast, Justice Tracey found that at times in their growth cycle the chickens “could not move more than a metre or so (at most) without having their further movement obstructed by a barrier of clustered birds”. Steggles statistics indicated consistent stocking densities of between 17.4 and 19.6 chickens per square metre. The ACCC alleged that at these densities each chicken, on average, had access to floor space which was less than the size of an A4 sheet of paper and that this was contrary to the representation that they were ‘free to roam’. “Credence claims are an enforcement priority for the ACCC, particularly those in the food industry with the potential to significantly impact consumers and competitors. The ACCC will continue to investigate and take action when necessary,” Ms Court said. The ACCC had also alleged that the companies had engaged in conduct that was likely to mislead the public as to the nature and characteristics of Steggles meat chickens. However, the Court found that the ‘free to roam’ representations did not relate to the inherent qualities of the chickens. The parties are to appear at a directions hearing on 12 July 2013 for timetabling orders regarding submissions on relief, including penalty. Justice Tracey’s findings follow his earlier judgment that Turi Foods Pty Ltd, the processor and supplier of La Ionica branded products in New South Wales and Victoria, had engaged in false, misleading and deceptive conduct in relation to similar conduct. Turi Foods Pty Ltd was ordered by consent to pay a pecuniary penalty of $100,000, publish corrective advertisements and implement a compliance training program.